Tony Bennett turned 90 this week and celebrated in style with a little help from some friends. Original crooner Tony Bennett celebrated his 90th birthday this week with nothing less than a star-studded gala event in New York. 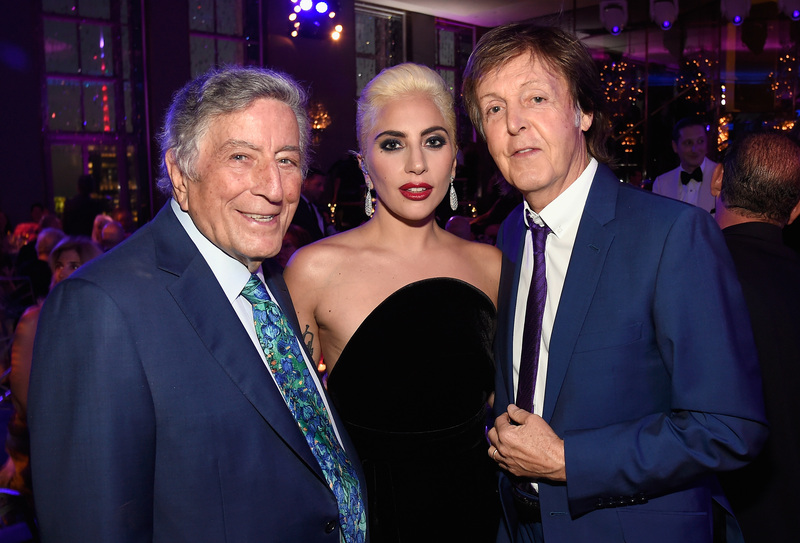 Some of the music world's biggest stars turned out to help his celebrate including Stevie Wonder, Lady Gaga and Sir Paul McCartney. Lady Gaga performed some of the songs that appeared on their 2015 collaboration album 'Cheek to Cheek', including 'Lush Life' and 'Orange Coloured Sky'. Then Stevie Wonder joined Gaga on the piano to perform his classic 'Happy Birthday' as well as his party anthem, 'Signed, Sealed, Delivered'. If only we could have a whole host of music stars sing us 'Happy Birthday'... not fair.